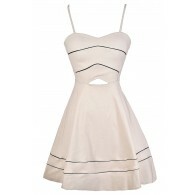 We think we might have stumbled on the perfect classy fit and flare dress for every occasion. This is a dress that manages to look great on everyone! The Floral Fit and Flare Dress With Half Sleeves has a rounded neckline, half sleeves, a banded waist, and a great fit and flare cut. A hidden back zipper completes this dress. This dress has a bit of a mod vibe to it. 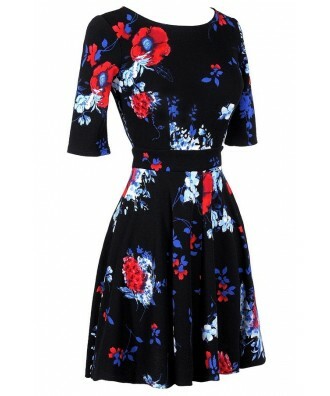 The Floral Fit and Flare Dress With Half Sleeves would look nice dressed up with pumps or wedges. Or you can wear it casually with flat sandals and an oversized bag. Details: Made in USA. Unlined. Hidden back zipper. 96% polyester, 4% spandex. Hand wash cold or dry clean. Small measurements: Length from top of shoulder to hemline: 32". Bust: 32". 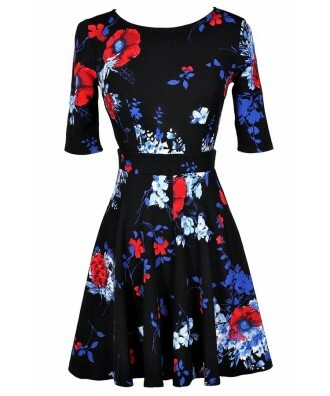 You have added Floral Fit and Flare Dress With Half Sleeves in Midnight Floral into Wishlist. 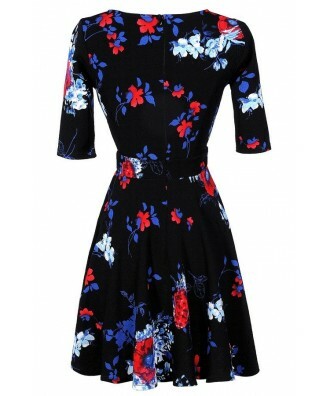 You have added Floral Fit and Flare Dress With Half Sleeves in Midnight Floral for Stock Notification. 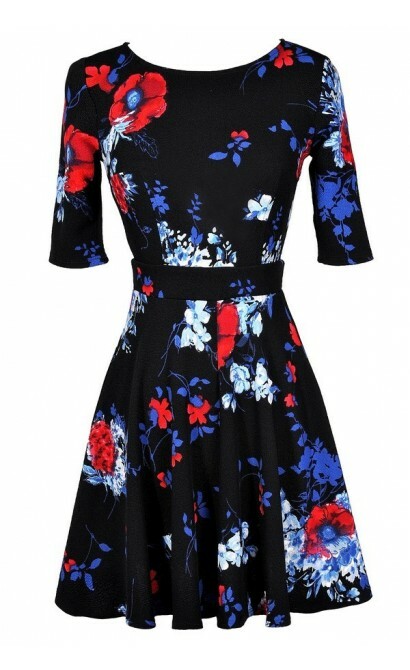 You have set Floral Fit and Flare Dress With Half Sleeves in Midnight Floral as a loved product. You have removed Floral Fit and Flare Dress With Half Sleeves in Midnight Floral as a loved product.